Valentine’s Day is an age-old celebration of love. But while in the 18th century, people used to express their love with handmade cards and sweet confections, today the average American is expected to spend $162 on Valentine’s Day gifts and excursions. For this reason, February 14th is an important (and lucrative) day for establishments that sell flowers, jewelry, chocolate, greeting cards, or fancy dinners. But the day of romance can provide a boost for other types of businesses as well; it provides an occasion to celebrate amidst an otherwise dreary time of year. Here are just a few ways publishers who choose to make the most of the holiday can generate revenue. Display advertising is still the backbone of the publishing industry; most publishers will generate at least some revenue by driving readers back to their sites. Publishers looking to maximize this revenue stream can dedicate larger budgets to their paid distribution efforts, to drive increased traffic to their site (and ads). For these types of efforts, timely content generally performs well. It benefits from higher engagement on social platforms like Facebook, thanks in part to an increased relevance score. 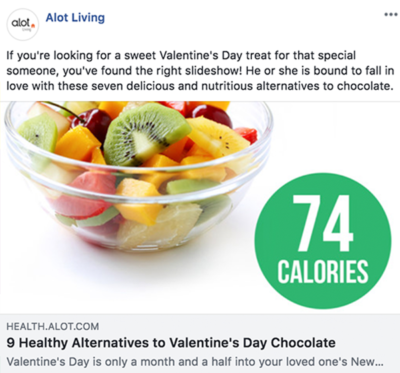 By using Valentine’s-related content, publishers can boost the performance of their paid content posts to drive larger audiences for the same price. After display advertising, the next most popular source of publisher revenue is branded content. In fact, according to a Digiday survey, 88% of publishers are driving revenue at least some of their revenue from branded content. But as more publishers are participating, it becomes increasingly important to leverage smart distribution techniques to ensure that the content is seeing the strong engagement it deserves. 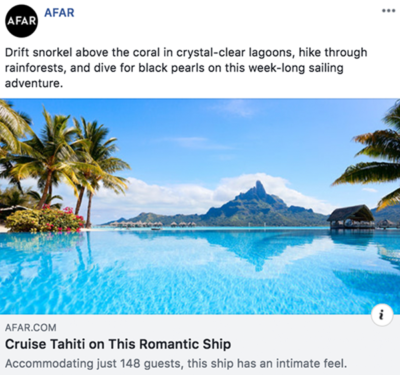 Leading up to Valentine’s Day, content about romantic trips, date nights, gifts, or special recipes can perform really well on distribution channels. This boost in performance can help publishers drive even better results for their brand partners. Increasingly, publishers are turning to affiliate partnerships as an additional revenue source. It’s easy for publishers to get started by joining a program like Amazon Associates, and from there, teams can decide how much time to dedicate to the initiative. Publishers with affiliate agreements make money from purchases their readers make that originate from their site. For this reason, holidays that involve shopping can be a great opportunity for publishers to drive additional affiliate revenue. 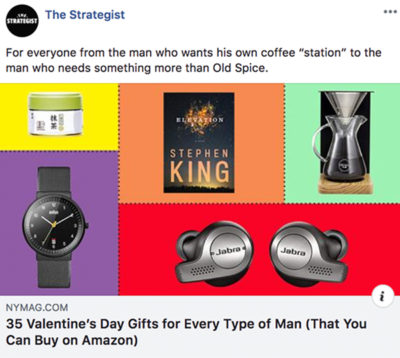 Thanks to the ubiquity of Valentine’s Day, storytellers have the opportunity to publish gift recommendations for a variety of recipients: men, women, significant others, best friends, mothers, etc. Publishers who write content about deals also have the opportunity to feature holiday-specific sales happening. In an effort to “own” their audiences, we’ve seen publishers double down on growing their newsletters. Newsletters provide great value to publishers: they represent a direct connection to readers at no marginal cost and tend to attract the most engaged segment of readers. On top of being a great traffic driver, newsletters also provide additional monetization opportunities, which is key in the age of revenue diversification. 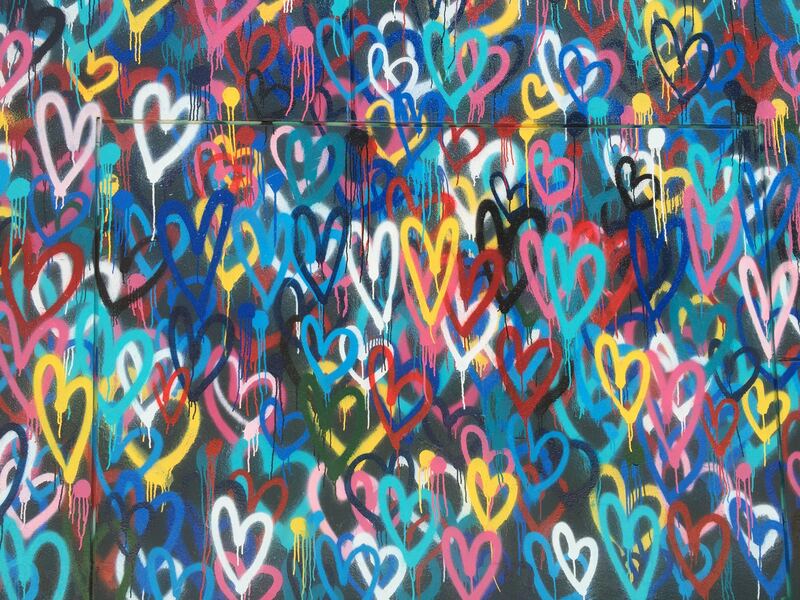 Valentine’s Day is just another way to prove the value of your newsletter to new audiences. 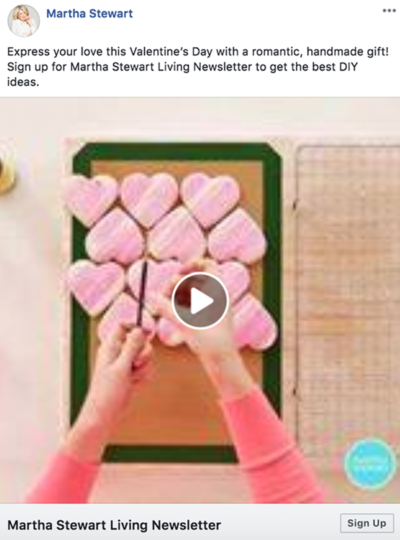 Publishers can feature Valentine’s Day specific content, to show, rather than telling, readers what the benefits they can expect from a new newsletter. (Note: we suggest showing readers what they can expect from your newsletters year-round, with the help of Content-to-Capture campaigns). These are just a few ways publishers are driving revenue this Valentine’s Day and beyond. To understand how these business functions will continue to change this year, download our Content Distribution Trend Report.